In 1901 textile magnate Moses H. Cone, also known as the Denim King, built a summer home outside of Blowing Rock, NC. Known as Flat Top Manor, today it houses the Southern Highlands Craft Guild, which sells and displays crafts from the region. 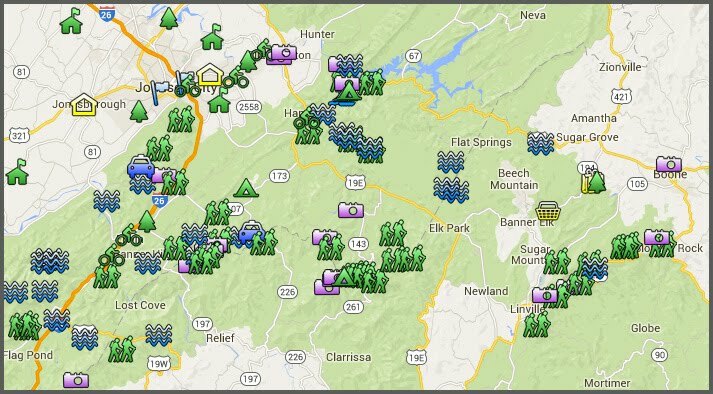 The home can be accessed at mile #293 on the Blue Ridge Parkway. 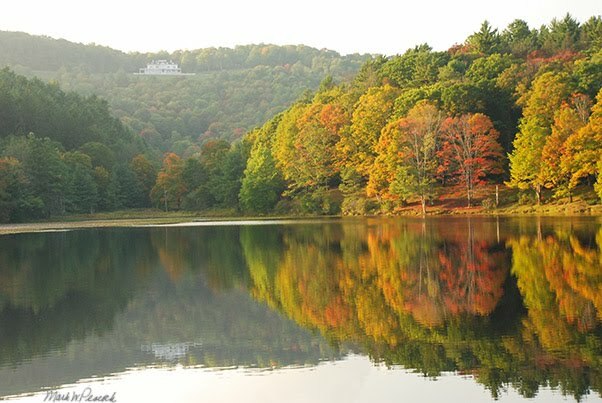 Twenty-five miles of hiking and horse trails wind through the 3,500 acre estate of rolling hills, orchards, forests and two lakes (Bass Lake and Trout Lake). Click here to read more of the history of the park. To see my previous Bass Lake posts, click here. Bass Lake (pictured above) is easily accessed on Route 221 south (a.k.a. Yonahlossee Road) just outside of Blowing Rock. Lined with rhododendron and mountain laurel, the lake offers a 0.7 mile loop, perfect for an evening stroll or jog -- or a great place to take the grandkid fishin'. Click here for a map of the area. Beautiful looking lake! Thanks for the travel tip!